Having Diabetes does not mean that you have to start a special diet. For most people living with Diabetes, especially those with Type 2, it just means to start eating a variety of foods in moderate amounts and sticking to regular meal times. This means a diet that emphasizes vegetables, fruits, whole grains, and smaller servings of lean meats and lowfat dairy products. 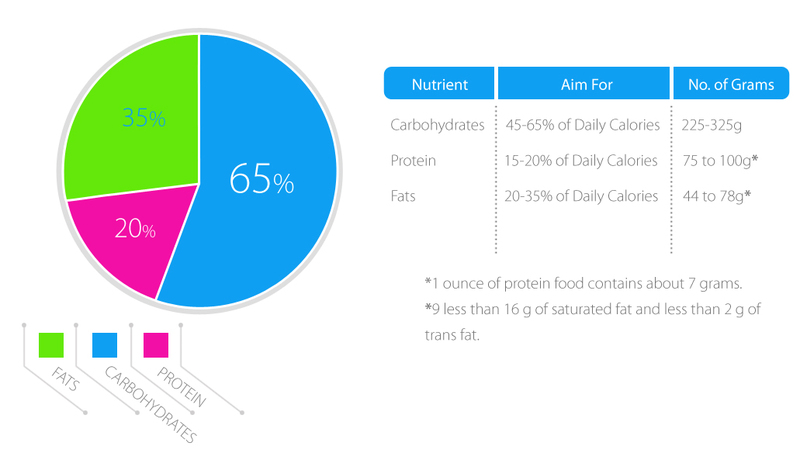 This kind of eating is nutrient rich and low in fat and calories. If you are consistant in your eating habits, it will help control your blood sugar level. At about the same time each day. The same number of meals and same amount of food.